The Alchemist in Search of the Philosopher’s Stone discovers Phosphorus. With the provocative title ‘Has Machine-Learning Become Alchemy’, Google’s Ali Rahimi, winner of the Test-of-Time award at the 2017 Conference on Neural Information Processing (NIPS), gave a critical assessment of the state-of-the-art in machine-learning. 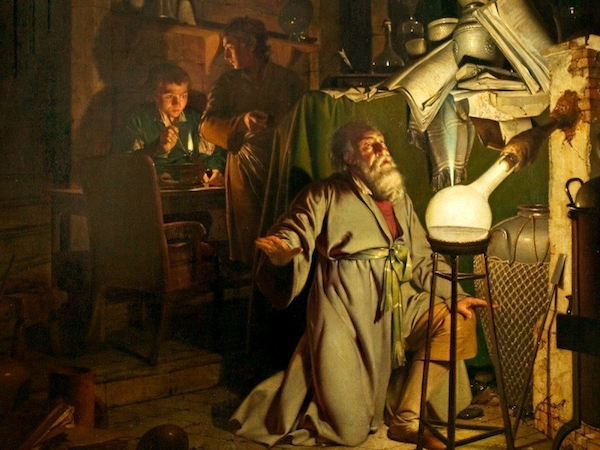 successes — which are mostly based on empirical methods — are plagued with the same issues as alchemy. The inner mechanisms of machine-learning models are so complex and opaque that researchers often don’t understand why a machine-learning model can output a specific response from a set of data inputs, an issue which is also referred to as the ‘black box problem’. Rahimi believes the lack of theoretical understanding or technical interpretability of machine-learning models is cause for concern, especially if AI takes responsibility for critical decision-making. “We are building systems that govern healthcare and mediate our civic dialogue. We can influence elections. However, I would like to live in a society whose systems are built on top of verifiable, rigorous, thorough knowledge, and not on alchemy,” said Rahimi. With his view Rahimi is not alone. There are increasing signs from the machine-learning community that AI needs another wave of innovation to reach the level of Artificial General Intelligence (AGI). This wave should include contextual intelligence beyond the current statistical, algorithmic interpretation of data. Common-sense is sound practical judgment concerning everyday matters, or a basic ability to perceive, understand, and judge what is shared by (“common to”) nearly all people. The first type of common-sense, good sense, can be described as “the knack for seeing things as they are, and doing things as they ought to be done.” The second type is sometimes described as folk wisdom, “signifying unreflective knowledge not reliant on specialized training or deliberative thought.” The two types are intertwined, as the person who has common-sense is in touch with common-sense ideas, which emerge from the lived experiences of those common-sensical enough to perceive them. The main problem that we face is bridging the semantic gap between common-sense and logic. Statistical systems which are built on deep neural networks can translate text, but these systems do not understand its context. The attempt to tackle this kind of problem is not new. Since the beginning of AI as an academic discipline in 1956, there have been serious attempts to include common-sense as part of AI solutions. For a machine to be considered truly intelligent, it must be able to reason, using the broad scope of information that humans are expected to possess. For example, a photo of a man carrying a horse on his shoulders may seem unusual to us, but for AI, which has never known or experimented with the abstract notion of the force of gravity, there is nothing absurd about this photo. According to Gary Marcus, professor of psychology and neural science at NYU, “the human brain is clearly capable of doing better than artificial intelligence, which today is primarily nurtured through deep learning. Although the brain uses techniques that are like deep learning for certain tasks, it is also capable of developing, recording and manipulating rules governing the way the world functions, so that it can draw conclusions even with limited experience”. A contextual model must combine perceiving and learning as one set of tasks, while abstracting and reasoning defines the other set. Implementing this model to enhance current machine-learning ‘narrow’ AI will eventually lead to an AGI which invokes Singularity. The trouble with common-sense thinking is that one cannot experiment with it until one has a big common-sense database. In 1985 Doug Lenat, at that time a young professor at Stanford, started to build-up a database called Cyc to classify and store common-sense knowledge. Since that time Lenat and his colleagues have been spending years feeding common-sense knowledge into Cyc. 33 years later, following a 2000 man-year effort, building a Cyc application still requires a significant engineering effort. The trouble is that Cyc is difficult to use, it is proprietary and so far, not much used by researchers. At Imperial College London, Murray Shanahan and colleagues are working on a way around this problem using an old, unfashionable technique called symbolic AI. His idea is to combine symbolic AI with modern machine-learning. Symbolic AI never took off, because manually describing everything, quickly proved overwhelming. “Modern AI has the potential to overcome that problem by using neural networks, which learn their own representations of the world around them” says Shanahan. According to a BBC News article which appeared in June 2016, Google is also working on a ‘common- sense AI engine’. “We are on the brink of a brand-new era of computing,” explained Emmanuel Mogenet, head of Google’s research lab in Zurich. Computers need to understand some obvious things about the world, so we want to build a common-sense database. Google has always been in the business of natural language because that is how people search, but we have never really understood the questions. We just match keywords with content and rank that content smartly. The next stage is to truly understand what people are asking”, he said. The path for adding common-sense to AI requires years of research and many checkpoints along the way. 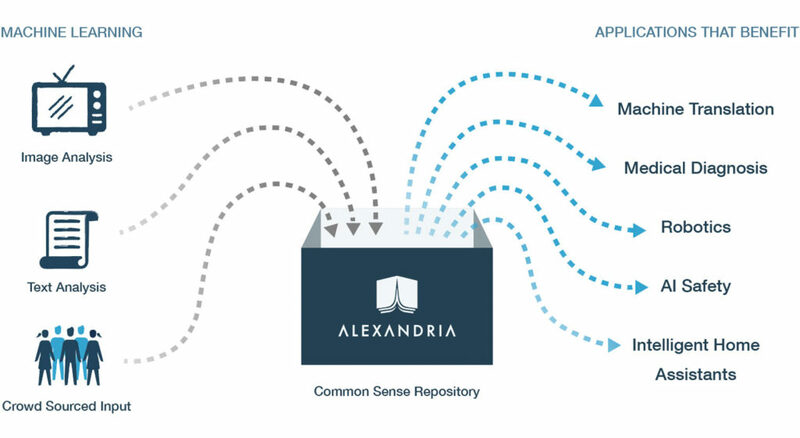 Major steps in the next few years include introducing standard measurements for the common-sense abilities of an AI system or developing novel crowdsourcing methods to acquire common sense knowledge from people at an unprecedented scale. To advance their vision AI2 has come up with a new test called ARC, which stands for ‘AI2 Reasoning Challenge’. The purpose of the test is to support research in the design of enhanced AI systems that can analyse contextual relations. The test contains a dataset of about 8000 multiple-choice science questions typically used in grade-school level exams. Each question will require some understanding of common-sense, for example: ‘Which item is not made from a material grown in nature?’. The possible answers are a cotton shirt, a wooden chair, a plastic spoon and a grass basket. To answer this question requires a broad common-sense knowledge of the world, something which current machine-intelligence cannot provide. your ‘conquest’ for the Human I- & AI grail ; ), thank you. business targets or simply some Nirvana state (probably both with its implicit contradiction). context (automatic or combined with rational observations and reflection). The very many wheels are spinning fast. Yes I hope and believe the positive changes by/for humanity will outweigh the negative fall-outs.